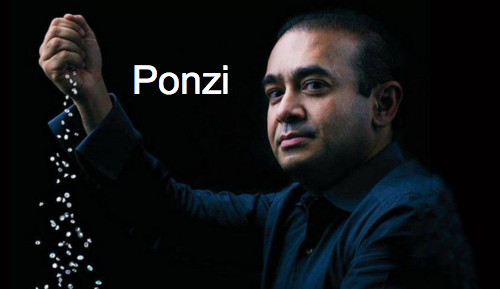 Three bankrupt US firms with “direct” links to the Indian billionaire Nirav Modi were involved in transactions related to an alleged multibillion-dollar international scheme for which Modi has been charged by Indian authorities, according to Bloomberg. The firms sought protection from creditors earlier this year as the celebrity jeweler’s empire quickly unraveled. In February, the Punjab National Bank, India’s second-largest state lender, reported that the Indian billionaire had siphoned billions of dollars from its coffers. According to Carney, a three-carat gem was FedEx’d around the world between shadowy entities allegedly controlled by the Indian billionaire in 2011. 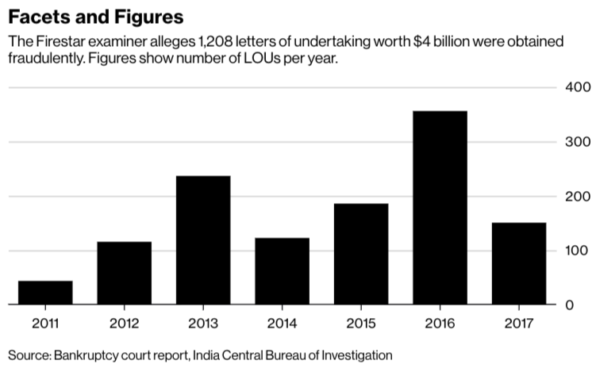 The accounting practice of round-tripping, also known as round-trip transactions or “Lazy Susans,” was paramount to the biggest bank fraud in Indian history and charges by the Indian government against the celebrity jeweler. During the course of the fraud, Modi “fraudulently borrowed approximately $4 billion over a period of years by manufacturing sham transactions purportedly to ‘import’ diamonds and other gems into India using a web of more than 20 secretly controlled shell entities,” Carney said in the report. “The “fancy vivid yellow orange cushion cut” diamond was first sold by Firestar Diamond Inc., a U.S. company indirectly owned by Modi, and shipped to Fancy Creations Company Ltd., a foreign shell company in Hong Kong also allegedly controlled by Modi, in August 2011, the report says. The price was almost $1.1 million. According to Carney, the practice of round-tripping totaled $213.8 million between 2011 and 2017, which shipping invoices were then sent to the Indian state-owned Punjab National Bank to obtain short-term loans. Bloomberg explains the proceeds were then used to fund Modi’s extravagant lifestyle and business entities. Modi even used the funds to pay off old debts, as what some would call a classic Ponzi scheme. In another instance, the Modi-owned US firms exported diamonds via FedEx instead of with a bonded courier, including a 17-carat diamond sold for $1.7 million and transferred from New York City to Hong Kong. Carney wrote in the report that FedEx only insures packages up to $150,000. “There is no legitimate business reason to ship diamonds worth millions of dollars without obtaining appropriate insurance,” Carney wrote, citing a jewelry specialist retained by the bankruptcy trustee. Modi has previously denied wrongdoing, and a lawyer representing him declined to comment Monday when Bloomberg asked about the examiner’s report. As for Modi’s location, Republic TV claims to have narrowed it down to the UK, though, he has two luxury apartments in Westminister and London, where he has been served his extradition notices. 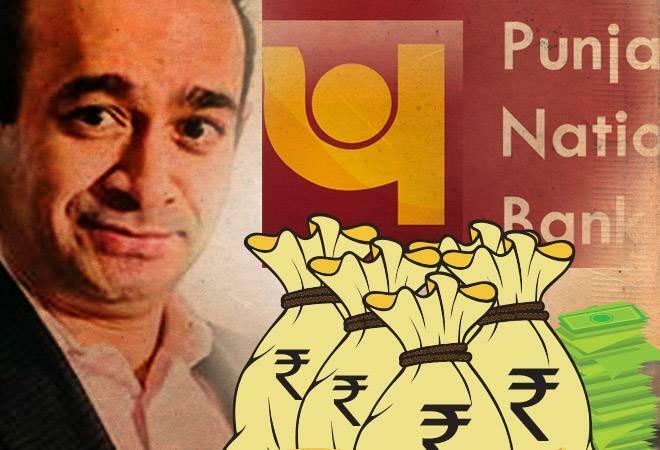 Nirav Modi is wanted by the Indian law enforcement authorities for the billion dollar scam. The Interpol had also issued a red corner notice on him in July. As the Indian government’s attempt to extradite him from the UK, it seems as the celebrity jeweler has finally met his fate. Stay tuned because this type of fraud generally becomes discovered at the end of an economic cycle.